The EMD GP38-2 is a four-axle diesel-electric locomotive of the road-switcher type built by General Motors, Electro-Motive Division. Part of the EMD Dash 2 line, the GP38-2 was an upgraded version of the earlier GP38. Power is provided by an EMD 645E 16-cylinder engine, which generates 2000 horsepower (1.5 MW). As of 2012 most units remain in service – used for switching and on local trains – even on Class 1 railroads. The GP38-2 is AZL’s entry level locomotive. 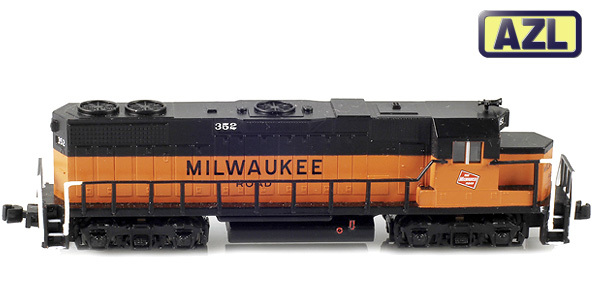 The locomotive features directional controlled LEDs, powerful coreless motor, window glazing, AZL AutoLatch™ couplers and traction tires. The locomotive is DCC ready.